I was recently introduced to the music of American singer-songwriter Nathan Angelo and, whilst his latest EP is relatively old (having been released on February 3rd last year and followed by a full length live album later in the year) this does not stop it being a very impressive release that fully deserves to be listened to. 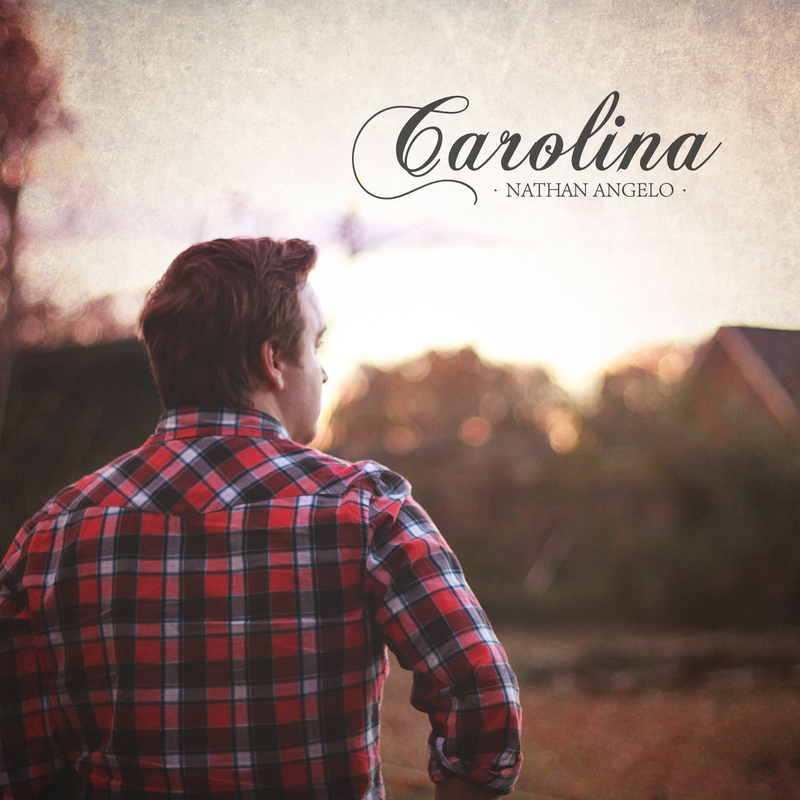 Holding six tracks, Carolina serves as an impressive introduction to Nathan's music for new listeners and cements Nathan's appeal as an artist to past listeners. Arguably best described as a mix of country and soul, Carolina showcases an impressive selection of tracks that hold an endearing attraction. Dancin' Through The Rain for instance is the most atypically soul sounding track on the EP and sees Nathan's vocal oozing smooth sophistication. Whilst overall the track feels a little light on lyrics (with a lot of lines repeated), it also feels as though that doesn't really matter here. Led by a soft drum line that will inevitably leave you tapping your feet along and grounded by a sweet lyrical story, Dancin' Through The Rain links in nicely with the rest of the tracks on the EP as well as making it's own mark upon the release. Find My Way is another track that will have listeners tapping their feet along but for a whole different reason. My favourite track on the EP, the Jersey sound styling behind it works incredibly well and it's pleasantly surprising how smoothly Nathan fits into the style. Whilst Find My Way is created around a comparatively heavy production, it is nice to hear Nathan sitting comfortably above that without having to strain. Vocally he sounds comfortably comfortable and this translates to the listener's experience of the incredibly impressive track in that it is, without a doubt, one you will want to hear again and again. The first track that newcomers to Nathan's music will hear, opening number Carolina Save Me is sure to captivate fans of country artists like Charlie Worsham and Josh Kelley whilst still being an integral part of Nathan's own unique sound. The track immediately makes you sit up and take notice of Nathan as an artist and takes you on a musical journey that leaves the listener intrigued to hear what the rest of the EP will bring. With it's relatively soft overall sound and piano led production it is definitely a strong, appealing choice to open Carolina. Whether you want to call his music country, soul or both, there can be no doubt that Nathan Angelo is an incredibly talented artist. The only negative point I have is that I'm disappointed I didn't discover Nathan and this EP earlier! Trust me, you need Carolina in your music collection.